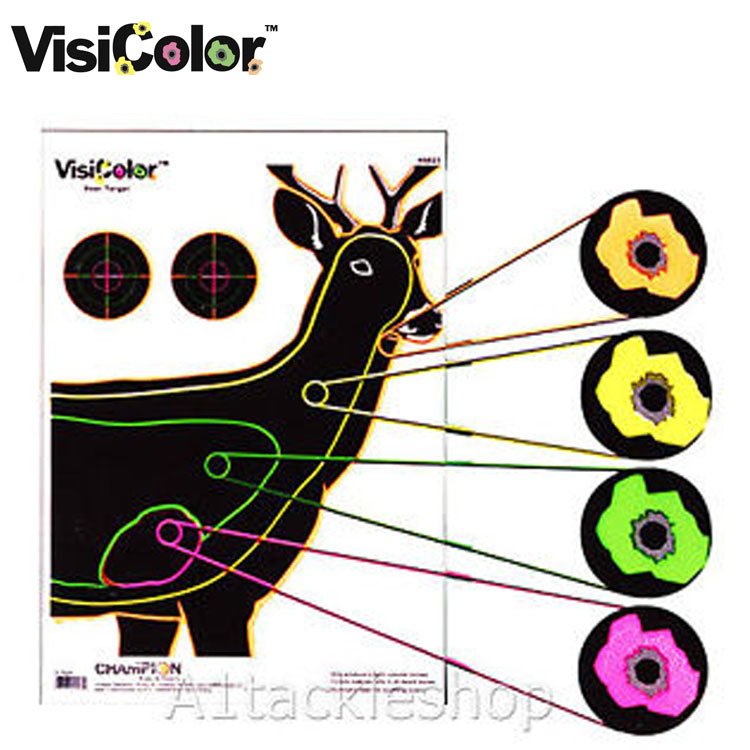 New VisiColor™ high-visibility targets from Champion® offer shooters an interactive, fun and useful way to sight in and practice. Based on Champion’s proven VisiShot™ technology, VisiColor provides multi-coloured impact halos for easy identification of specific hit locations. Animal versions feature multiple coloured vital zones.